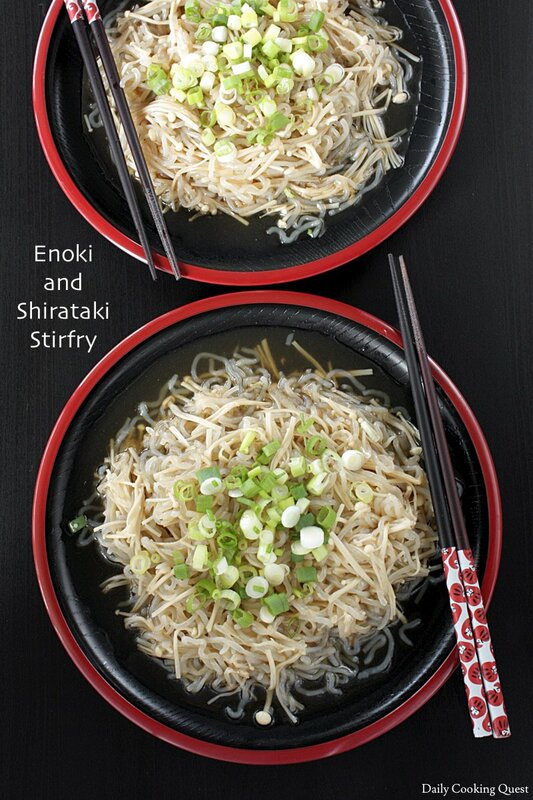 This easy enoki shirataki stir fry is a very good Japanese vegetarian dish for those who need some quick filling meal. 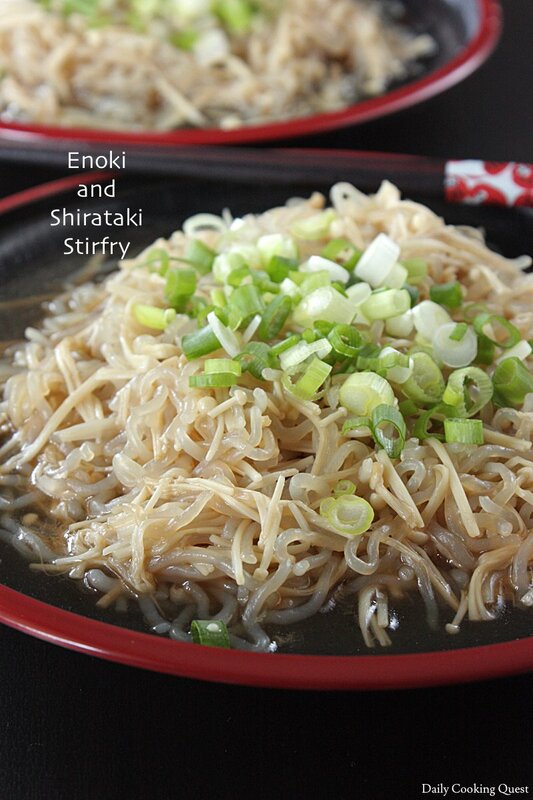 Shirataki is noodles made from konjac, and this thing is the perfect diet food since the calorie is negligible. You can treat this as a main noodle dish if you want, though I usually treat it more like a side dish. 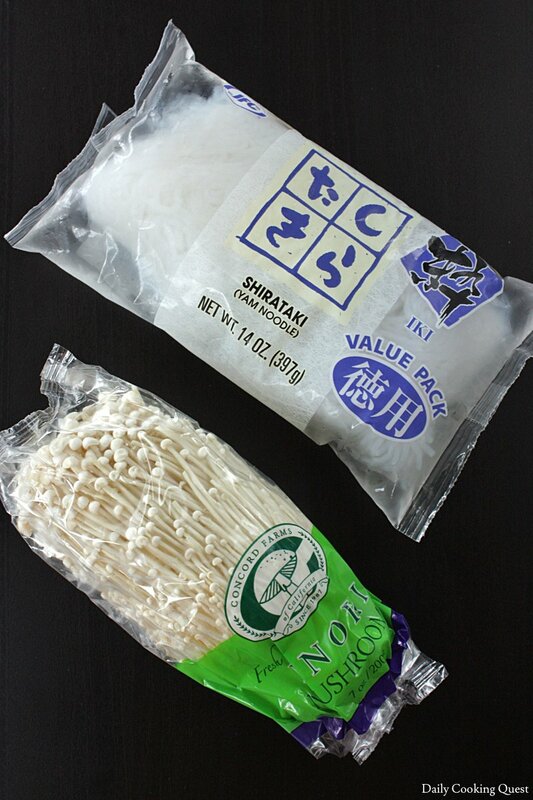 Enoki comes in a vacuum pack of 7 oz. (200 gram). 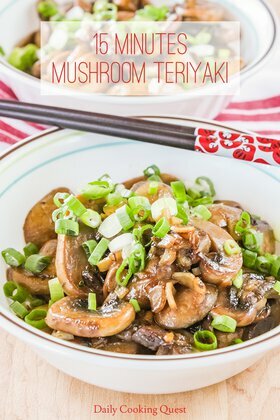 I love this mushroom and my house usually have plenty of them stocked in the fridge. You need to trim the root off, so just chop off and discard about one inch of the root. Then, for this dish, I chop the enoki bunch into two halves lengthwise. Shirataki as I said is konjac noodles. They are usually sold side by side with the solid block konnyaku, and like konnyaku, come in either white or brown color. You can choose either one as the color is more a matter of preference. Once all the prep work is done, this dish comes together in under 10 minutes. Start by cooking the shirataki until slightly dry, then add enoki and oil, and mix well. Then, just add the rest of the ingredients and bring to a boil. Once the sauce is slightly reduced, the dish is done. Transfer into a serving plate and garnish with some thinly sliced scallions. Chop off and discard 1 inch of the enoki root. Cut the enoki bunch into two halves lengthwise. Wash and drain. 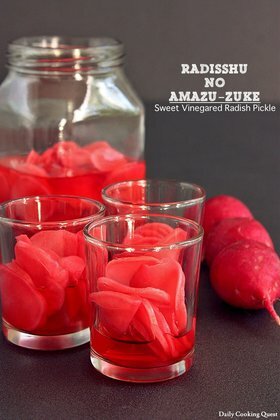 Rub 1 teaspoon of salt with shirataki for 1 minute. Wash and drain. Then cut into bite size length. Place shirataki in a frying pan over medium high heat. Cook until slightly dry, then add enoki and oil and mix well. Season with soy sauce, dashi stock granules, sugar, and salt. Bring to a boil, and once the sauce is slightly reduced, turn off the heat. Add sesame oil and mix well. Transfer to a serving plate and garnish with thinly sliced scallions. (*) Substitute with mushroom stock granules for vegetarian option. 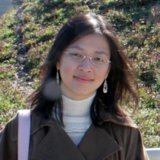 Curious what rubbing the Shirataki noodles with salt and rinsing does? Improve texture? Thank you.